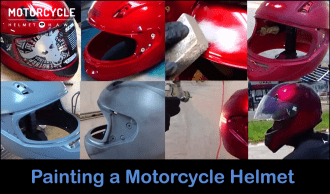 The primary purpose of motorcycle helmets is safety. But it isn’t limited to that anymore. It’s all about showing off your personality and keeping up with the trend. 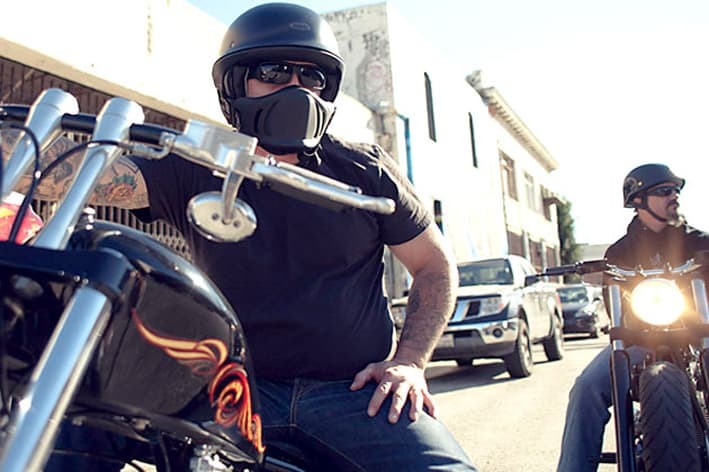 The kind of motorcycle you ride says a lot about you, and the lid on your head is just as important. 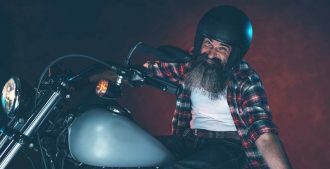 Whether you want to look tough with skull tattooed helmets or just want to pull off a cool super-hero look, you can find helmets for everything these days. Novelty helmets are for a single purpose: to make you look cool. Safety goes out of the window when it comes to novelty helmets. 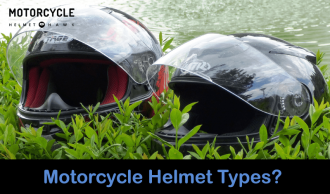 Here is a list of novelty motorcycle helmets available online. Keep in mind that the list is completely random and isn’t rated in any manner. 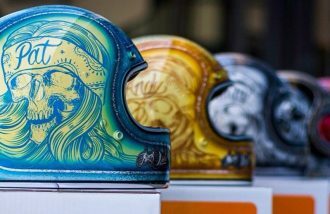 This is another helmet that looks incredible. It’s got an awesome 3D skull design. 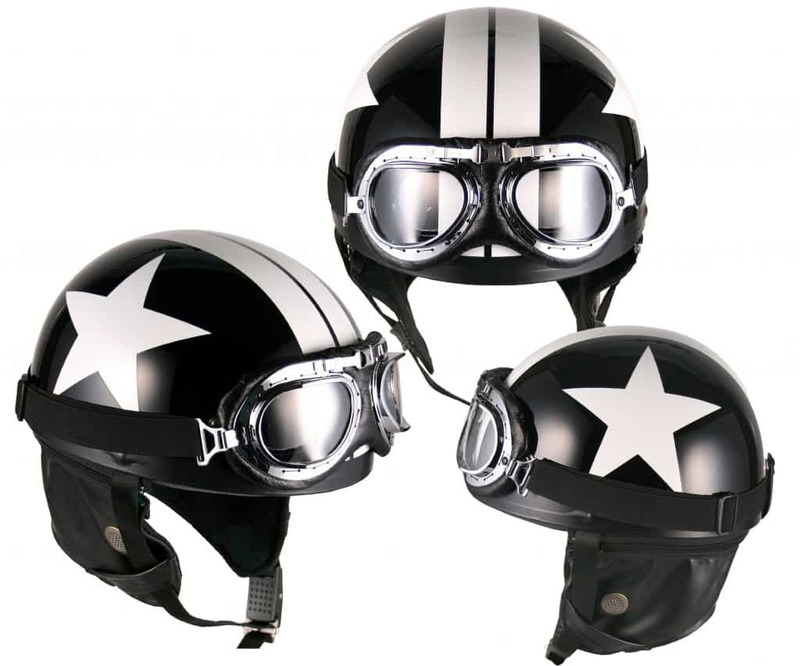 Although it looks great as a novelty helmet, it has also been approved by DOT standards. It has been constructed with a light weight durable shell. 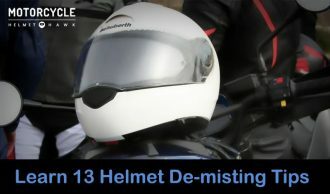 The interior has been padded for comfort and the dual d-rings strap makes sure that the helmet stays on. This helmet is the definition of tough. It’s available in three different sizes and if you manage to get the right size, you will have the perfect skull mask as a helmet. It’s currently available for a decent price and a range of color options. 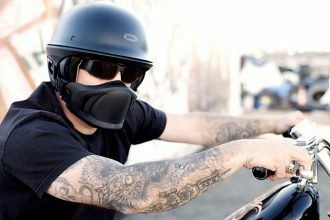 If looking like the toughest bike rider around enough for you to compromise safety, it’s a great buy. 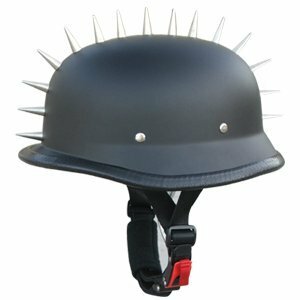 This classic German style helmet has a war-like vibe to it. All of us have at one point desired something like this to go cruising. It’s shaped like one of those ancient war models but was created with modern technology and made for comfort. 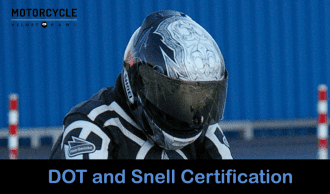 It is not certified so you would be a fool to expect normal helmet-like protection. 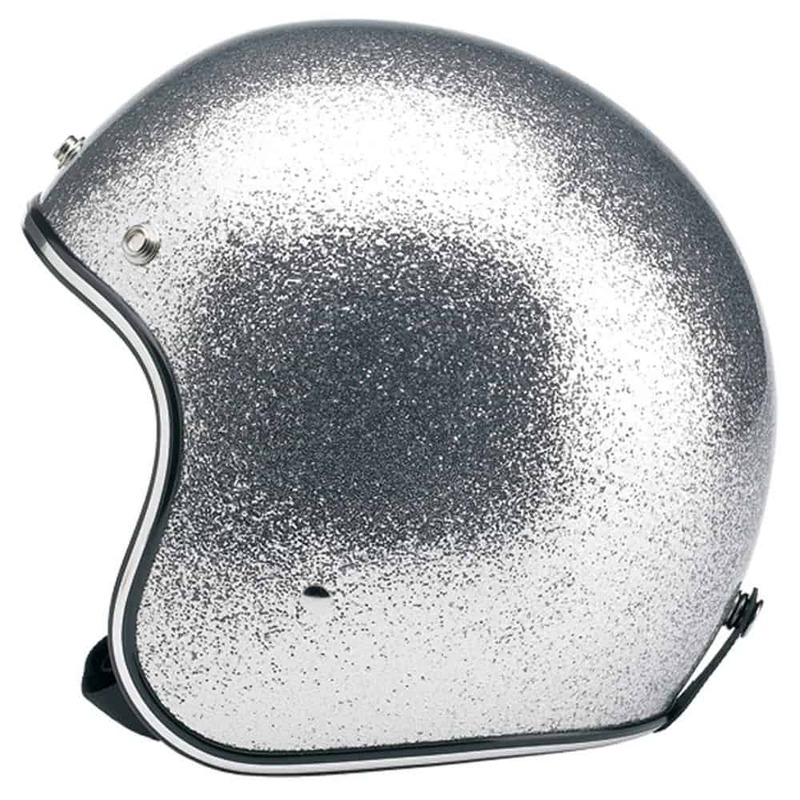 The best thing about this helmet is its price, which is more than reasonable. For the price, it is remarkably comfortable and features an easy-to-use adjustable strap for safety. This is an amazing novelty piece. 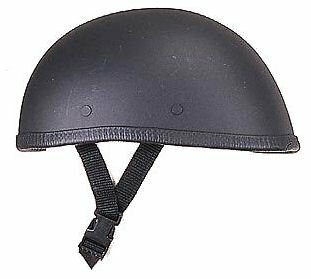 It’s a chopper helmet which is constructed of a light weight fiber glass shell. Although it is not DOT approved, it features a sturdy outer shell. The interior padding has been designed for comfort and it also features a Y-strap padded chin strap, which is easy to use. 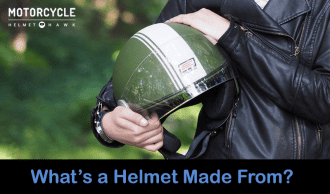 You’ll find it’s probably one of the smallest motorcycle helmets out there and it definitely wasn’t built for safety. There are a few different sizes available and it will sit perfectly on your head with no discomfort whatsoever. This one’s a classic. 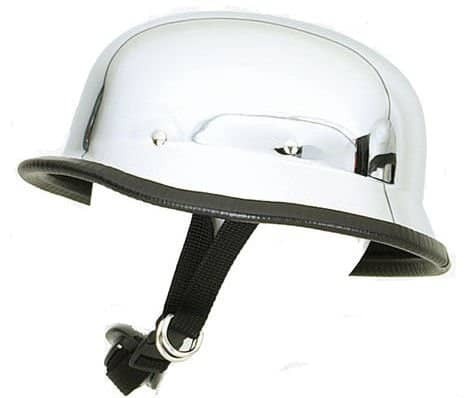 It is a vintage style ¾ open faced helmet. The looks been borrowed straight out of the 60s and the 70s. It’s got the original vintage look with no modern day face shields and no extra baggage. It features a vintage style chrome strip and embossed goggle strap. The ventilated panels on the top make sure that the rider stays cool. It has an incredible look to it and looks really classy. It’s an amazing novelty item available at a decent price. Keep in mind it’s more bling and it’s not meant for safety. This is another one of those classy vintage half helmets. 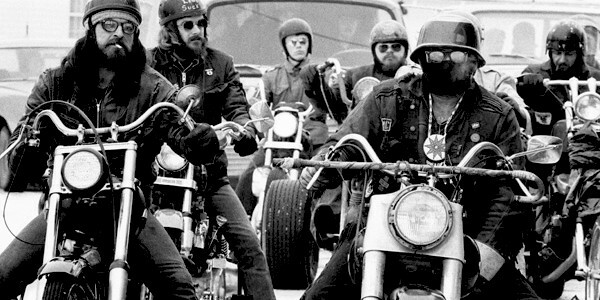 These used to be largely popular among biker gangs back in the day, or anyone who fancied cruiser touring. This piece also comes with a goggle, an ear muffle and of course, a helmet. The ear muffle is remarkably comfy and is detachable; it will prove useful in all seasons. The interior liner is comfortable and has been made with high grade fabric. 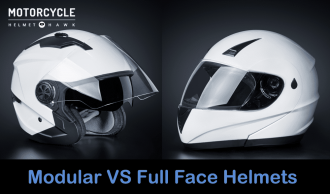 The one touch convenient chin strap makes sure that helmet stays on. It’s got that Hollywood-ish vibe and will look good on almost anyone. The white star graphic painted on top adds a nice touch. This novelty item has been constructed with durable polycarbonate shell and looks amazing. The interior is well cushioned and is remarkably comfortable. The German style alone should be enough to make you stand out in the crowd. On top of that, it’s got sturdy looking spikes to go along with your tough nature. 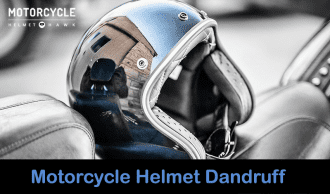 Keep in mind that it’s only a novelty helmet and is not meant for protection. In fact, it won’t do you any good other than to ride around town, definitely not at high speeds. But it’s super cheap and extremely affordable. This Black Reaper helmet lives up to its name with a slick skull face painted on it. 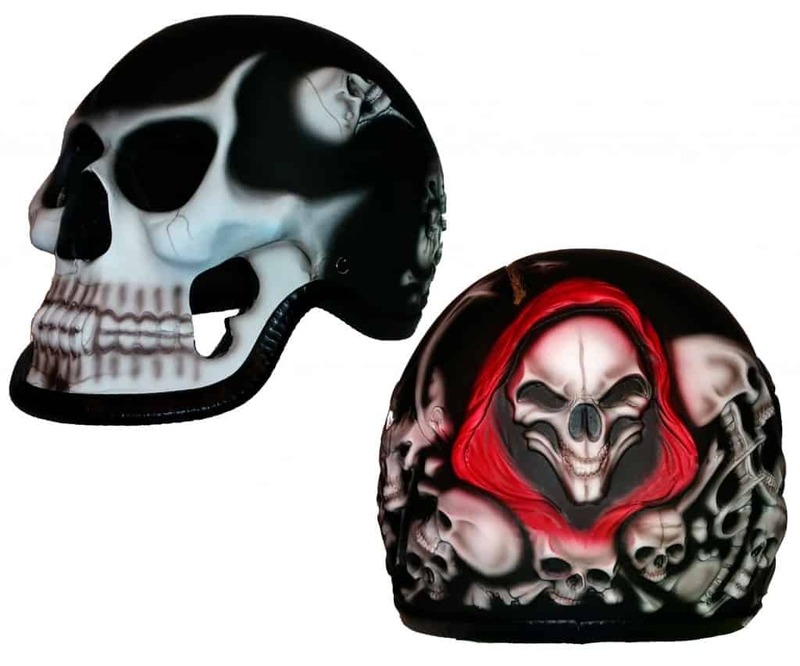 The Skeleton shaped graphic has been custom airbrushed on the full black helmet giving it a Gothic look to it. It has been constructed with a lightweight durable shell. It isn’t just a show piece—it features a cotton interior which provides maximum comfort. The eye holes feature integrated clear lenses. 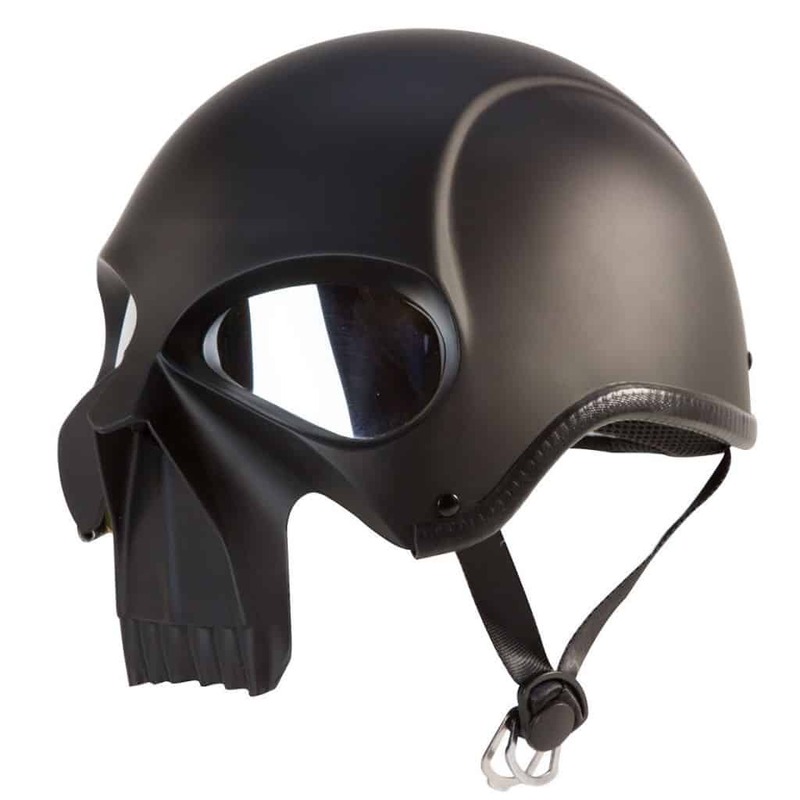 This helmet was inspired by the Ghost Rider and your wife is surely going to hate it. But there will be lots of admiration and compliments from your mates. 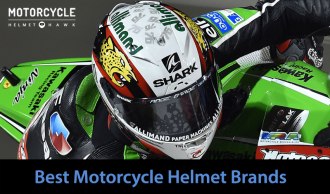 It’s a custom-made head accessory and you will never see another rider wearing this piece. It’s totally tough and looks scary and was not been built with safety in mind. It is only safe for an occasional ride around town.